You are invited to the St Barnabas Cash in the Attic sale to bag a bargain from a wide assortment of bric à brac, brand new and barely used household goods, nearly new clothing, as well as DVDs, china, glassware, clocks, jewellery, antique tools, memorabilia, collectables and gifts. What’s at the bottom of your jewellery-box? 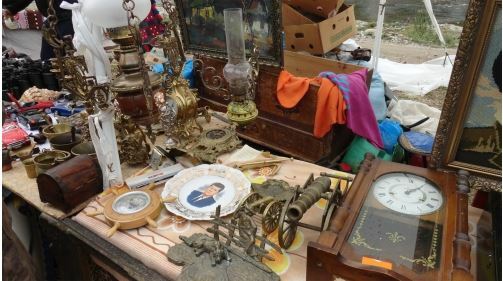 Our local and vintage costume jewellery expert, Alison Davis, will be on hand to assess the value of your “old bits and pieces” – you may be pleasantly surprised! Refreshments of tea, coffee and home made cakes served throughout the event. Admission £1 with all proceeds from admissions and refreshments donated to St. Christopher’s Hospice.